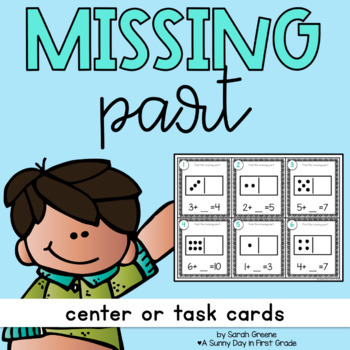 These task cards are a great way to practice finding the missing part. 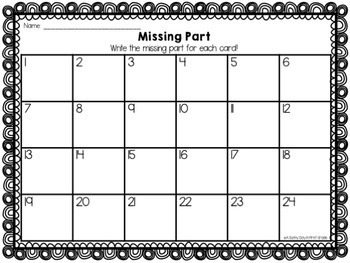 The cards each have addition sentences with sums to 10. 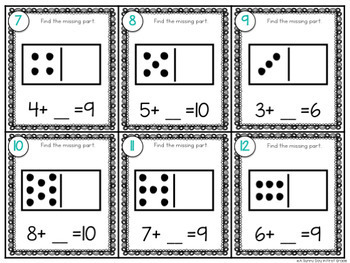 Your kids will use the domino and number sentence to find the mission part. 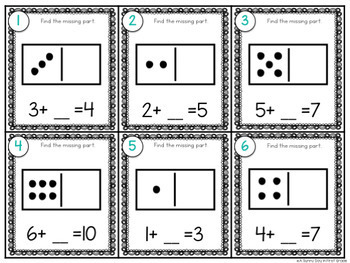 Use these cards in small group, as a center, or for early finishers! These cards can also be used to play Scoot or Write the Room. There are so many options!!! Download the preview for a better look!